The City of Tigard's strategic plan is all about being active and living interconnected lives. 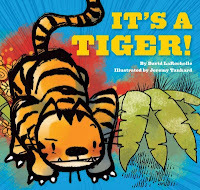 What better way to get action and feel interconnected than by coming to a walking story time. We'll start in Puett Room and head down the nature path behind the library. 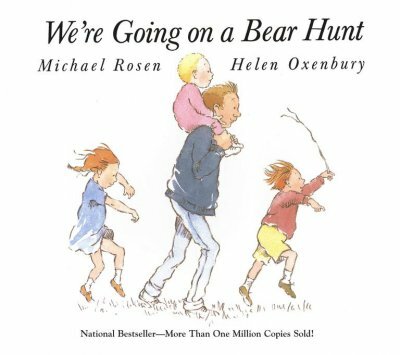 We'll go on a bear hunt, hop like frogs and much more, all while wearing animal masks and shaking music shakers made by participants before the story time. Experience Peruvian culture through the rich music and dance of Chayag. Dressed in traditional, vibrant attire, Chayag will entertain the audience with their interpretations of authentic songs and dance. Also learn the steps to a traditional dance. This event will be held in the Burgess Community Room on Saturday August 1 at 2:00 p.m. and ending at 4 p.m. All ages are welcome to attend. This program is generously sponsored by the Friends of the Tigard Library. Join us this Friday, July 31 at 10:15 and 11:15 in the Community Room for our guest reader, Lt. Tim Weathers, of Tualatin Valley Fire and Rescue. After stories, he will get decked out in all his firefighter gear just like he does every time he goes to fight a fire. Sometimes Pete likes his white shoes, sometimes Pete likes his blue shoes, but Pete the Cat always likes his library shoes! 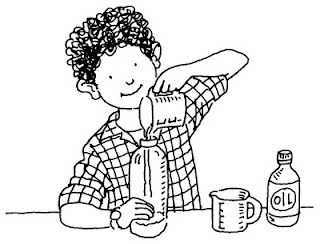 Join us Tuesday, July 28 in the Burgess Community Room from 2-4 for all things Pete the Cat! All ages. Let's get messy with stuff around the kitchen! Join us Monday for this all ages program in the Puett Room. This messy fun begins at 2pm and lasts until 4pm. 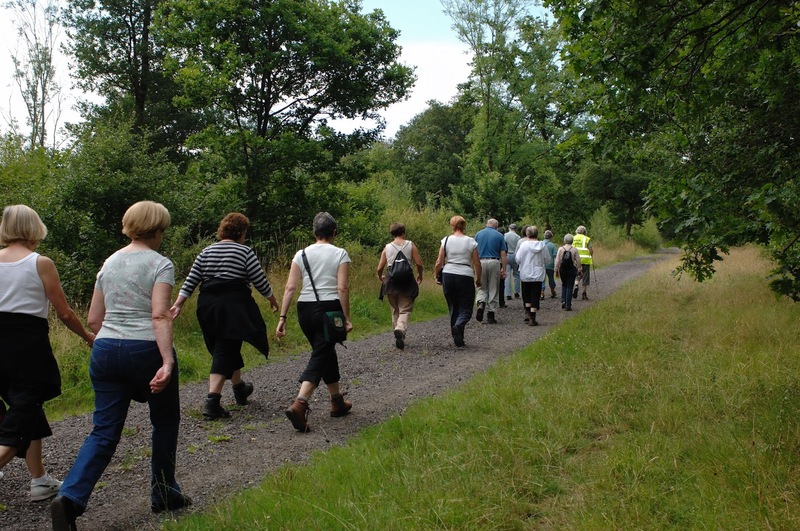 Judy Heller of Wonders of Walking will demonstrate methods to promote safety, increase efficiency, endurance, and speed in walking for leisure, exercise or sport. After the demonstration, practice warm-up, movement, and cooling down during a short walk. This workshop is designed for everyone on Saturday July 25th, 2--3:30 p.m. This program is generously sponsored by the Friends of the Tigard Library. Angel Ocasio, local kids comedian is coming back this summer! 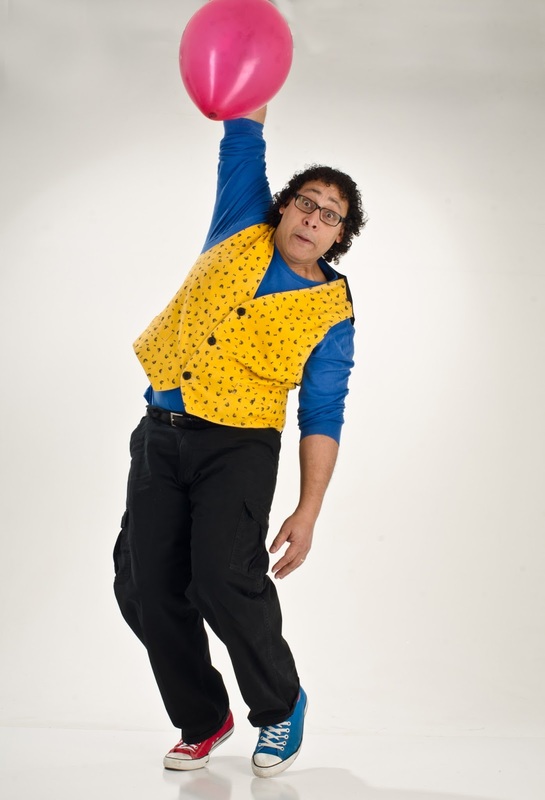 He'll present a high-energy, very funny one-man variety show jam packed with physical comedy, jokes, juggling, and comedic magic! His show is perfect for the whole family! Come see him live in the Burgess Community Room on Tuesday July 21st at 3 p.m.! This program is generously sponsored by Washington County Cooperative Library Services. Thinker Tinker Lab This Monday is all about yarn. What can you do with yarn? 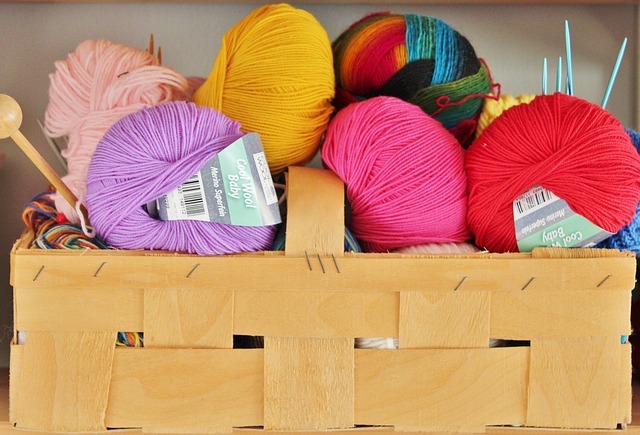 Weave it, string things on it, cut it, finger-knit, and more! Join us Monday for this all ages program, July 20 from 2-4pm in the Puett Room. Nobody is too old for Candyland, at least not the life-sized version! That is one of the many activities you will be able to do this Sunday, July 19 from 1:30 to 3:00 in the Puett Room, outside in the courtyard, and in the field behind the library. 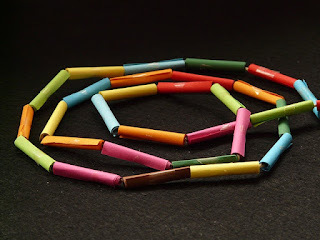 Draw and play your own hopscotch. Design, build and run your own obstacle course. Why use building blocks to build a tower when you can use big boxes instead? And if you just want some nice, calm time with your family or friends, hang out in the library gazebo and just play some good old-fashioned board games. What do all of these activities have in common? They develop the old-fashioned STEM (Science Technology Engineering Math) skill of spatial orientation, something that you just don't use when playing Wii or Minecraft. 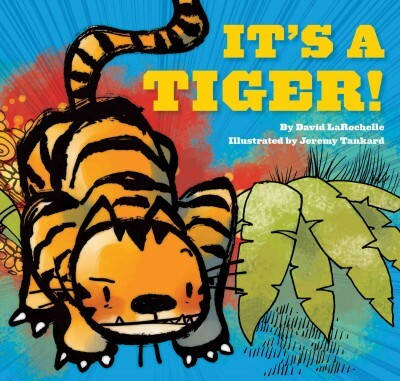 Claim Your Summer Reading Prizes! It's mid-August and has your child or teen turned in their summer reading record to claim their prizes yet? There's still time! August 31st is the last day to claim prizes and pick out a book to keep. 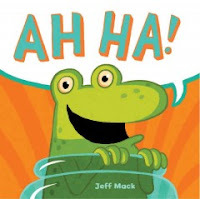 Kids and teens who turn in their reading record get to pick out a book to keep for their very own, get a voucher for a ticket to a Trailblazer game and get a discounted coupon to go to Oaks Park. It's not too late! Stop by the library today! 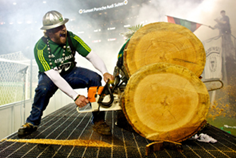 This Friday, July 17, our next Family Story Time guest reader is the Portland Timbers' own Timber Joey!!! Because he is in such high demand, he will be reading at the 10:15 session only. After stories, kids will get a chance to ask Timber Joey any questions they want. But don't worry, if you can't make it at 10:15, I'll still hold a story time at 11:15, this time sans Timber Joey. See you in the Community Room! Start Claiming Your Summer Reading Prizes! It's our second Thinker Tinker Lab! This time it's tubes and tape. What can you create? We'll have a variety of materials for you to think about and tinker with: paper tubes, tape and paper and tape to make paper tubes! Join us for this all ages event, Monday, July 13 from 2-4pm in the Puett Room. 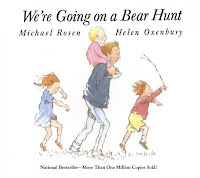 We want to make finding books easy for you and your kiddos. 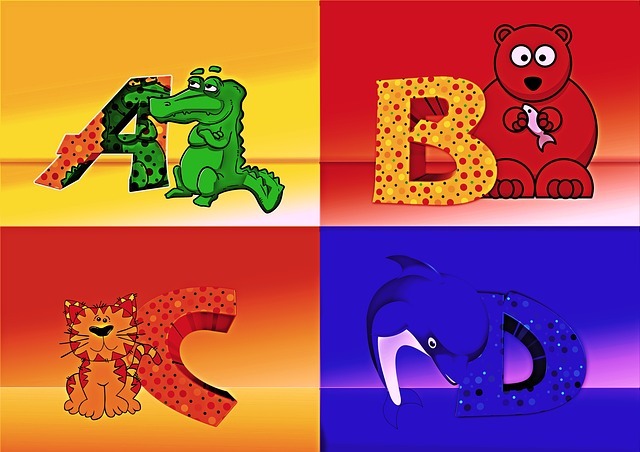 When you select books on subjects your child enjoys, you are promoting early literacy. Come inside for a break from the heat and enjoy a screening of this year's Oscar-winning animated superhero flick. It will be complete with snacks and superhero inspired activities too! All ages are welcome to attend on Saturday July 11th at 2:00 p.m. Check out our new helper! NEW Tigard Public Library AMH from Tigard Library on Vimeo. Question: Does the Tigard Library carry Juvenile Blu-Ray movies? Answer: Why, yes, as a matter of fact, we do! Question: Where does the Tigard Library keep Juvenile Blu-Ray movies? Answer: At the very end of all the Juvenile DVDs, where the Spanish movies used to be. Question: Well, then, now where are the Spanish movies? Answer: They are now kept in front of the Juvenile Non-Fiction DVD collection. I know at least one person who is ecstatic about this news: my husband! And I hope you are, too! We have moved all the family Blu-Ray movies into the Juvenile collection, and though it is now fairly small, I will be working to beef up this collection with popular feature films. If we don't own a Blu-Ray title you think we should, let me know and I'll see what I can do! 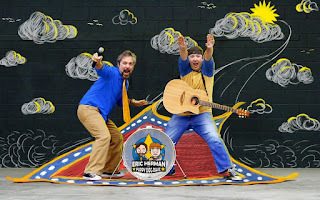 Did you enjoy the Recess Monkey concert last month? 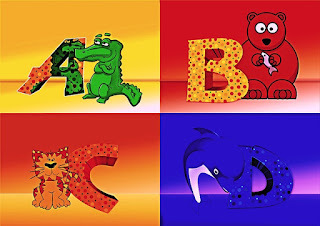 Want to hear some more rockin' kids tunes from musicians who really know and love kids? Come to our Eric Herman and Puppy Dog Dave concert on Tuesday July 7th at 3 p.m. in the Burgess Community Room. Eric Herman's music videos have gotten nearly 50 million views on YouTube. Now you and your family can enjoy the comedy and creativity of this outrageously fun songs firsthand! Thinker Tinker Lab - Bee A Superhero! It's the first Thinker Tinker Lab! Honeybees, the superhero pollinators! Monday July 6th from 2-4pm in the Puett Room, all ages. We'll be learning about Honeybees and how you can "bee" a superhero to the bees. 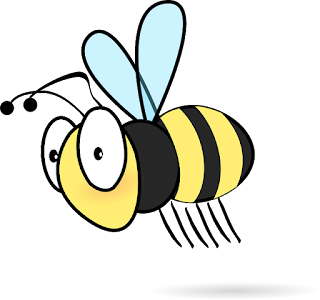 Games, and activities, including the opportunity to plant a seed that will grow into a flower the bees will love. 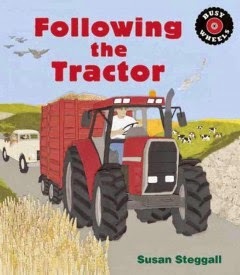 Follows the story of a tractor as it plows, sows, and harvests the fields throughout the course of a year, with a little help from some other farm machinery. 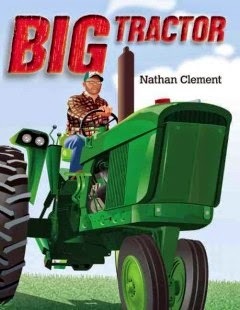 For kids who really like looking at tractors more close up, this book is for them. 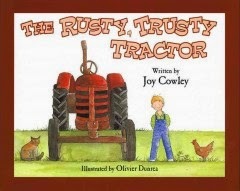 Readers can watch the farmer drive his tractor, named "Ol' Partner" working on farm chores around the farm such as planting, cultivating, and harvesting. 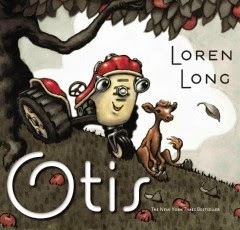 When Otis was first introduced back in 2009, I was very impressed to learn of a character who is a tractor. Years later, he has become one quite popular literary piece of machinery. So in this first Otis the friendly little tractor tale, he gets cast away behind the barn when a big new yellow tractor arrives. But when trouble occurs, Otis is the only one who can help and save the day! 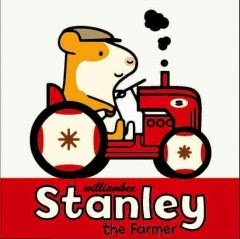 It's going to be a busy day down on Stanley's Farm, as Stanley the hamster and his friends Shamus and Little Woo have a lot to do! They've got to work on plowing the field, planting seeds, and harvesting the wheat. Mr. Hill of Hill's Tractor Sales bets Micah's Grandpappy that his rusty old tractor won't make it through another hay season. But Micah learns that Grandpappy's tractor, like an old friend, doesn't let him down!